In 1931 an Archaelogical Survey was undertaken of St Mary's Church Lead, directed by Jack Winterburn. 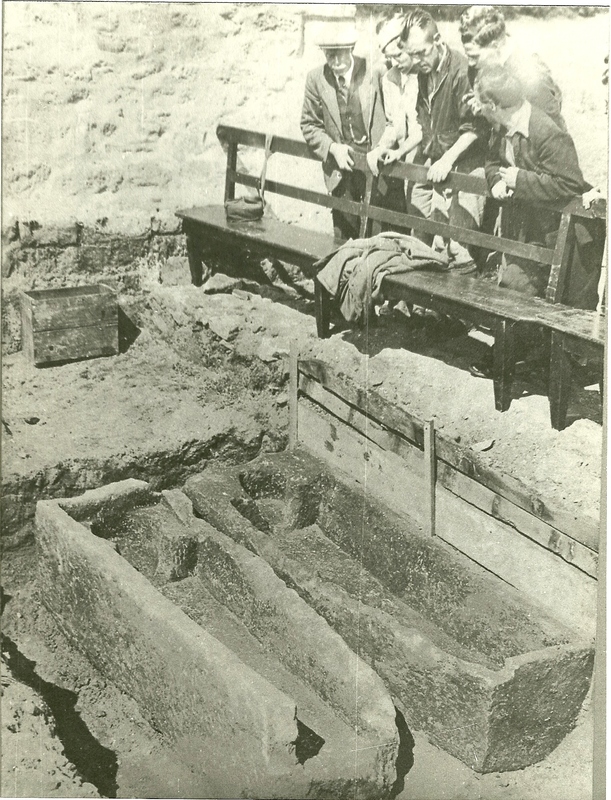 Two stone coffins were discovered during the archaelogical survey. 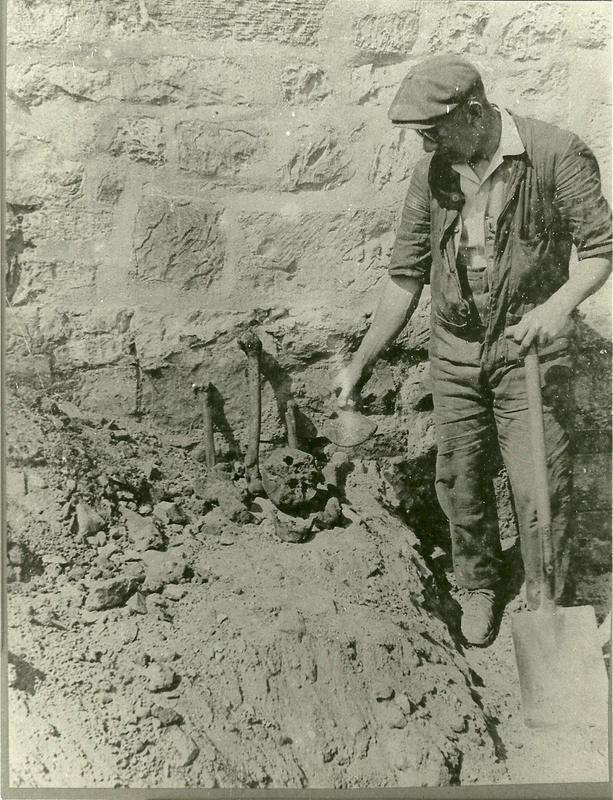 This photograph shows Jack Winterburn with the human bones which were unearthed during the dig. The team of volunteers working for Mr Winterburn undertook repairs and restoration to the fabric of the Church.